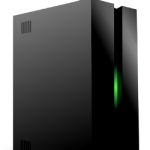 Alloy™ is a network appliance from Archive Analytics that provides controlled archiving of file-based content. A rigorous set of policies ensures that the content is properly ingested into the archive, that it will be available to authorized users for the indefinite future, and that a complete and verifiable audit trail of every action is maintained. Alloy™- based solutions naturally conform to the basic OAIS model, the reference model for all archival systems. Alloy™ allows for the creation of an archival component which conforms to ISO Standards. It will typically be a component in a customized solution, ensuring observance of basic archival best practice. Application notes are available to assist VARs and end users in integrating, configuring and extending the component to meet their specific requirements. For any industry and application domain there are relevant standards and recommendations on best-practice archiving; the implementation of which is greatly facilitated by an Alloy™- like system that provides a strong foundation on which industry and application specific practice can be layered. Alloy™ is the purposeful securing of digital assets, for business, legal and regulatory reasons and to allow authorized access to those assets. An archive is an intentional, planned repository; that is, you select what goes into the archive. Once there, Alloy™ means users can be confident that digital assets can be well managed and accessible, for as long as you decide — certainly for years, possibly for many decades. Keeping data over those time frames requires a principled approach, ensuring that the archive can endure as staff, vendors, hardware and software change. That is why Archive Analytics based its Alloy™ System on the iRods open-source system — a system that has been in development by some of the world’s most experience practitioners for almost two decades and has been proven in some of the most challenging environments. Archive Analytics’ Alloy™ server provides a solid foundation; and then, because every user has different needs, it also provides tools and multiple layers of customization to meet user-specific requirements. Archive Analytics’ Alloy™ accepts submissions through any of several mechanisms; programmatically, via a Web-API or via a watched folder. It then applies a set of ingest policies to those submissions, ensuring that all the assets are valid and secured, and provides confirmation as to whether the submission succeeded. The assets are managed according to the repository policies, and appropriate indexing and control metadata is securely stored both in the Alloy™ catalog and with the content. In the event of a disaster the archive can be reconstructed from any copy, and in the event of loss of any storage pool the replication and other policies are automatically applied to heal the archive. Alloy™ also ensures appropriate access to all material is straightforward and convenient. Alloy™ is designed to cluster with other Alloy™ servers into a named zone that can be administered as an entity. Zones provide additional resilience and throughput, allowing the solution to scale to many sites and many petabytes of managed storage, including tape, SAN, NAS, and FAS. Alloy™ can also utilize cloud based storage systems, including Amazon’s S3 and NetApp’s StorageGRID. 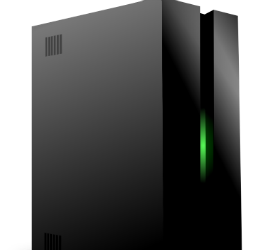 An archive system should run reliably for many years, and computer systems are prone to unpredictable behavior unless their configuration is tightly controlled. To achieve the necessary stability Alloy™ is a preconfigured bundle of operating system and select packages tightly configured, and secured. To initially configure Alloy™, it is necessary to establish what needs to be archived, how, where and for how long. The basic Alloy™ System is designed to meet ISO-16363 TRD requirements, so irrespective of whether you choose to seek trusted archive certification or not, your users will know that their content is being managed to the best accepted standards. The content is secured against loss, corruption, substitution, unauthorized exposure, and falsification of metadata. Logging is configurable, so subject to configuration event may be logged, you can see what is being used, and by whom. Alloy™ provides multiple ways of accessing the content, including stable URLs, standards compliant SRU/CQL. The graphical admin tools let users add more sophisticated features, both to the ingest process and to the on-going management of the archive. The available pre-packaged policies include escrow periods, expiries, metadata, migration-out triggers, and integrity, and authenticity. Beyond the canned configuration options, Alloy™ allows external processes to traverse the archive to find retrieve, and process selected objects in order to augment in an application specific manner such features as: multiple format support, format migration, alternate version support (such as summaries), archive analysis, mining, etc. Alloy™-based solutions naturally conform to the basic OAIS model, the reference model for all archival systems. provides a solid basis for any archiving solution.